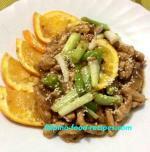 Beef Papaitan is a famous Ilocano dish or one of the most popular dishes from the Ilocos Region. It's made from beef innards and tastes bitter with a hint of sourness. And yes, not for everyone, you need to have an acquired taste to like this dish. The word papaitan is derived from the word papait or pait which means bitter taste. Normally, the authentic Papaitan from Ilocos are just sauteed innards and intestines with the bile (papait) to make it bitter and served as a soup. My version is quite similar to another Ilocano dish called Sinanglao which is like Papaitan with a little bit of sourness. The sinanglao is cooked like papaitan except that Kamias is added to make it a little sour. 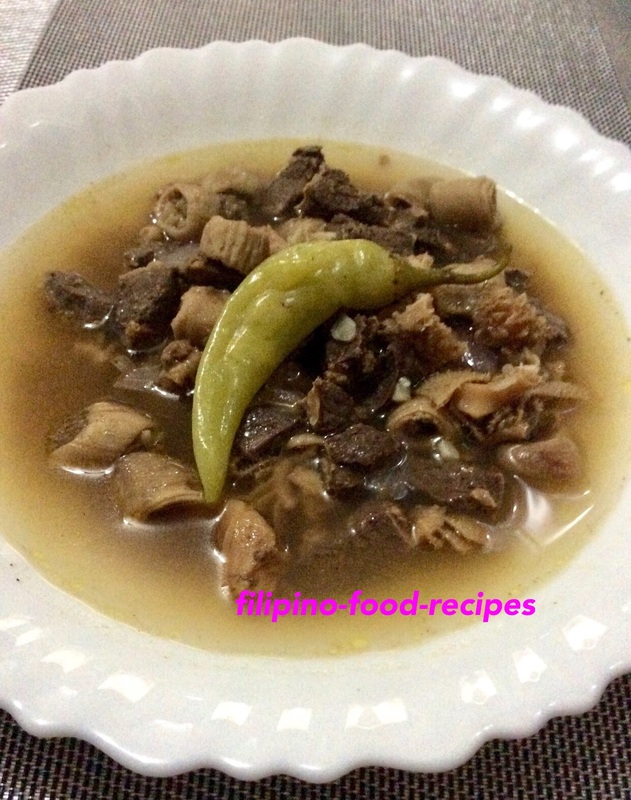 My beef papaitan recipe is made with innards and intestines which I saute in vinegar to eliminate the funky smell of the raw intestines. Bile is also added to give the signature bitterness to the dish plus sinigang mix to round up and give a sour note. Come and try my papaitan. 1 pack Sinigang mix 22 gms. 1 Clean the beef innards thoroughly by rubbing salt and wash in running water. 2 Slice into bite sizes. 3 Saute onion, garlic and ginger. 4 Add the innards, saute for 3-5 minutes. 5 Add vinegar and water and simmer until the meat is tender. 6 Add the Sinigang mix and the chilis and continue boiling for 5 more minutes. 7 Season with salt and pepper.